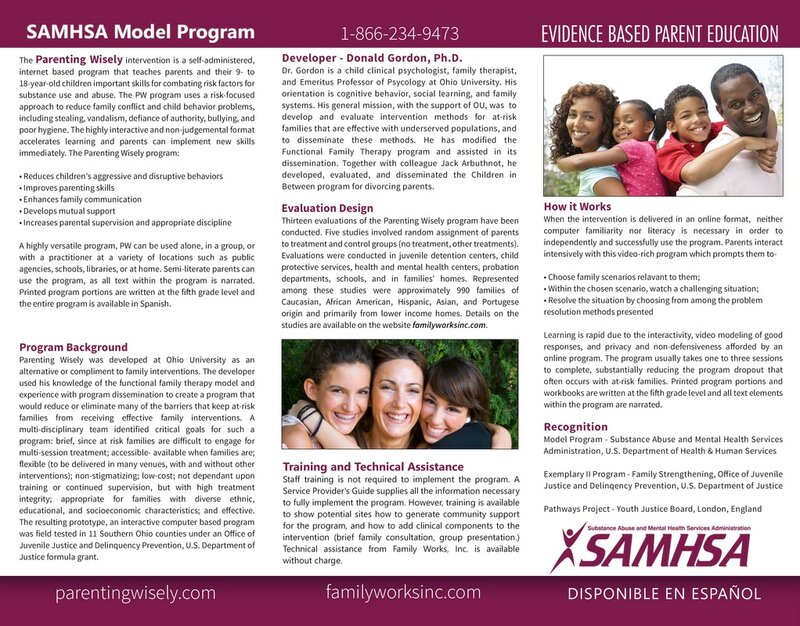 For Service Providers - Family Works, Inc. If you would like a supply, Family Works, Inc. will ship them to you at no cost. To order, click here, or call 866-234-9473. 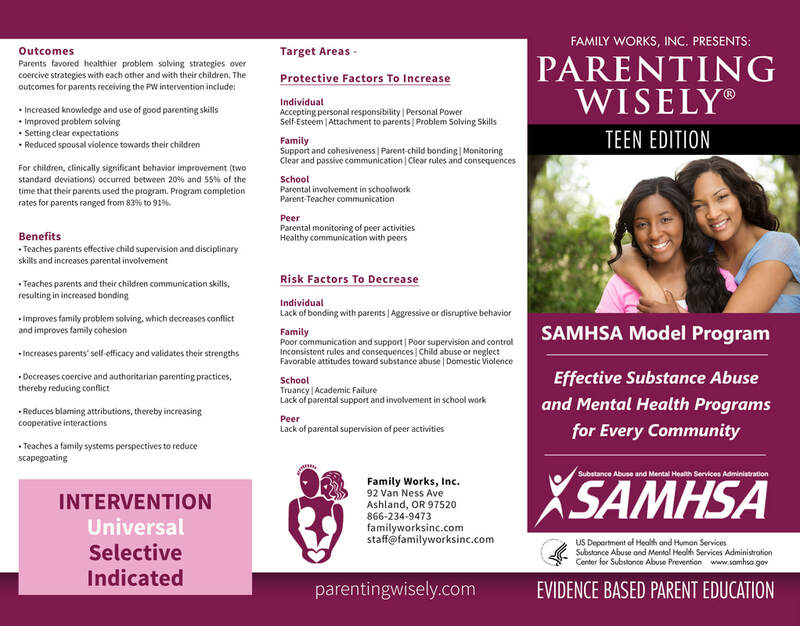 Parenting Wisely is a SAMHSA Model Program!